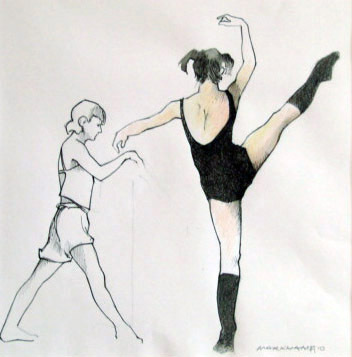 An exhibition of paintings and sketches of dancers in the Royal NZ Ballet in class and rehearsal. The dancers of the Royal NZ Ballet resting during a rehearsal for Peter Pan. 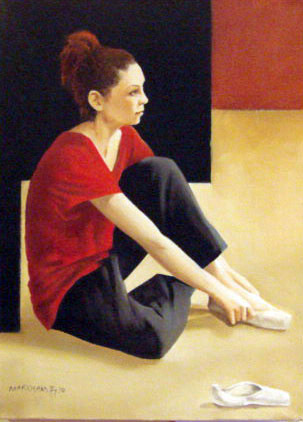 Royal NZ Ballet dancer Marie White in rehearsal. Dancers during their daily warm up and class. Dancers at the barre during their daily warm up and class. Dancers practicing individual steps during their daily warm up and class.